Low Carb Diet While Breastfeeding: Is It Safe for New Moms? Carbs still have a bad reputation in the dieting world, so it’s not surprising that many new mothers think that cutting out carbs will help them lose the baby weight quickly. While there are many effective and healthy low-carb diets out there, they aren’t all safe for a breastfeeding mom. The biggest concern is that carbohydrate restriction could interfere with your milk supply, so let’s take a closer look at the risks and benefits to a low-carb diet while breastfeeding. Restricting carbohydrates can cause a mother to lose weight rapidly, and rapid weight loss is generally not advised while breastfeeding. It could interfere with milk supply when taken to the extreme. Low-carb diets can put you into a state of ketosis, which means that ketones are potentially included in your breastmilk. Little research has been done on the impact of ketones on a growing baby, so this is a big reason most professionals recommend that breastfeeding mothers include healthy carbs like fruits, vegetables, and whole grains in their meal plans. Dieters often increase the use of artificial sweeteners when cutting carbs. While there is no scientific proof that these sweeteners are dangerous while breastfeeding, many mothers choose to stay away from them. There are some natural sweeteners that are approved for a low-carb diet, so you may want to stick with those! 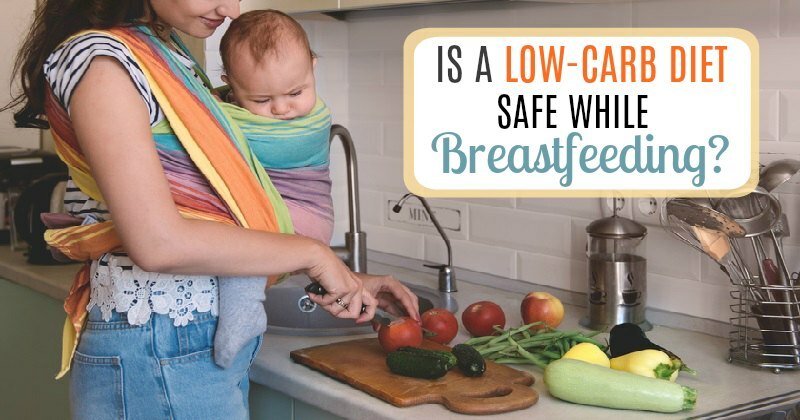 The La Leche League also points out that low-carb diets are generally higher in protein and fat than is recommended for breastfeeding mothers, but they also point out that this isn’t a major concern. You do need protein while breastfeeding, and healthy fats are essential. Should Breastfeeding Moms Even Consider a Low Carb Diet? That depends. A low-carb diet is a great option for some women because they can take off weight very quickly. However, diets like Atkins, South Beach and other Low-carb alternatives can cause some problems for a breastfeeding mom. Most of these problems are related to what a very low carb diet can do to your body. During the early phases of these diets, you leave out carbohydrates in order to enter a fat-burning stage called ketosis. This burns fat, lessens hunger and flushes water out of the body. 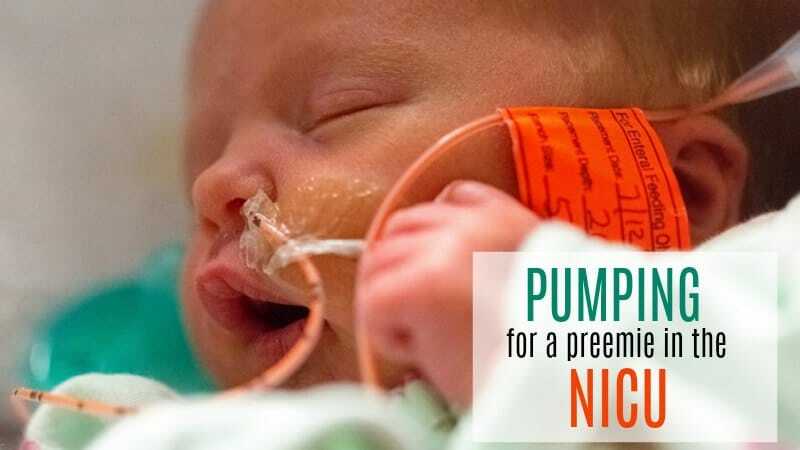 However, the ketones released into your breast milk WILL reach your nursing child and they have not yet determined if that is safe. “The reason for [recommending that breastfeeding mothers not follow the Atkins diet] is because the only studies that observe ketosis in pregnancy or breast feeding are in uncontrolled diabetics who are in ketoacidosis, not the same thing as ketosis. Having said that, as long as you only use the maintenance stage of a low card diet, you will still probably lose weight, but slower and without releasing ketones. The answer is probably simple: Don’t push it to the extreme. Making any radical change to your diet while breastfeeding may impact your milk supply, but that doesn’t mean that you should make no changes at all. The potential risks listed above occur when a mother cuts all or nearly all carbohydrates from her diet. You can avoid this by simply modifying your diet so that it’s not extremely low in carbs. For instance, one doctor looked closely at the South Beach Diet and the Atkins Diet to see if they are safe for breastfeeding women. She found that the first phases of both diets are too extreme while breastfeeding. Her recommendation was that breastfeeding mothers start at phase three for the Atkins Diet or phase two for the South Beach Diet. It’s not a coincidence that the phases this doctor considers safe for breastfeeding mothers are the ones that include a healthy amount of whole-grain carbohydrates, fruits, and vegetables. Restricting these nutrients too much is simply not safe for your milk supply. She ultimately recommends Weight Watchers, which is more of a well-balanced diet than low-carb diet. 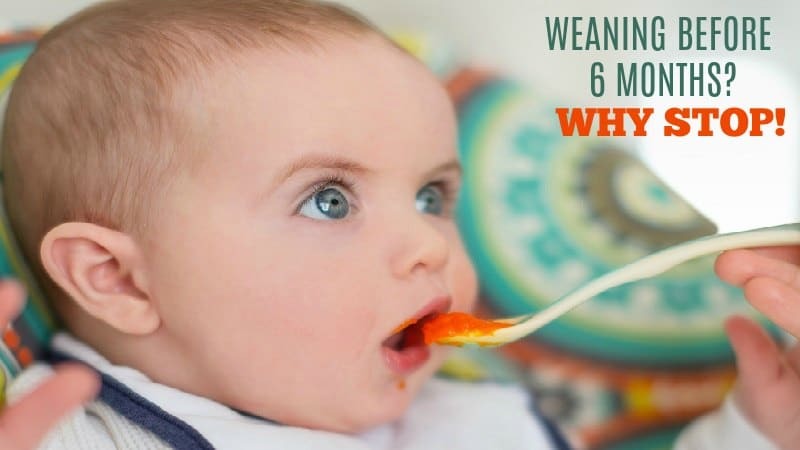 Wait until baby is at least 6 months old before dieting and has started solids foods. Avoid dehydration by drinking water, water and MORE WATER! Start gradually and avoid the “early phases” of any of the diets. Do not drop below 1800 calories per day on a low carb plan. Keep an eye on baby’s diaper output and weight gain. If you notice a decrease in your milk supply, stop immediately. 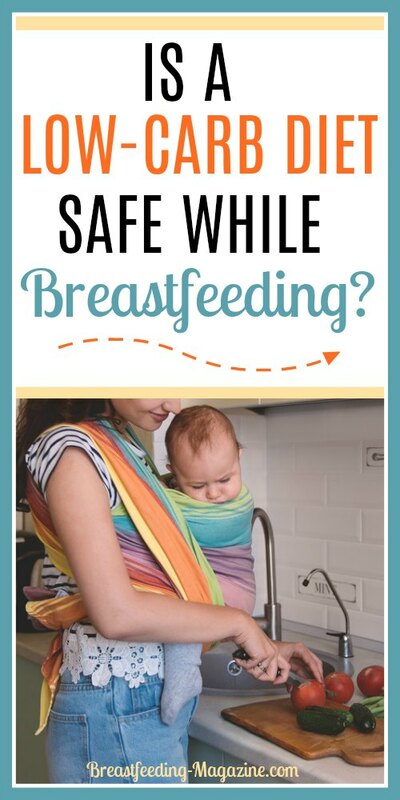 Remember this time of breastfeeding your baby goes by so fast! 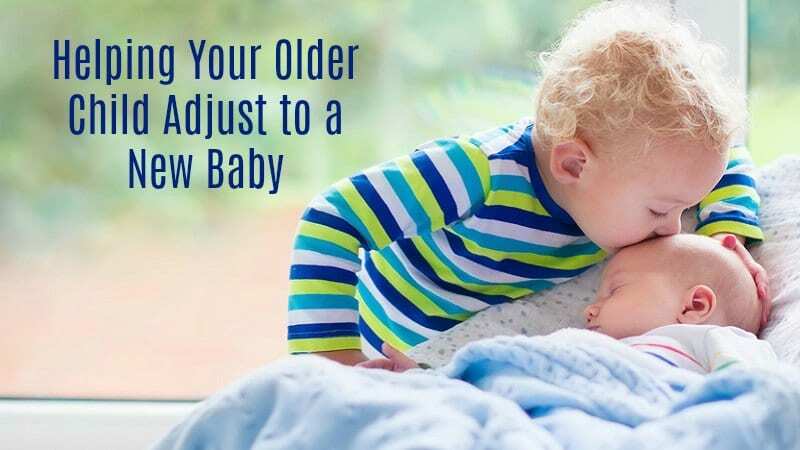 Don’t wean early or risk your health for a few pounds that you can take off later! Give yourself a little grace. However, if you DO want to try it….moderation is the key! Great Foods for Moms–Here are the foods you should eat!